CNAs are not generally required to take a patient’s dentures out or put them in. This is a safety measure for both the CNA and the patient. Why? 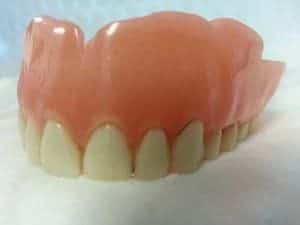 Because trying to “pop” denture plates from the lower jaw (where they will be held in place by denture paste) causes the CNA to place downward pressure on the lower jaw, which can possibly dislocate the jaw. Patients may also accidentally bite down on the CNAs fingers. Because of these risks, this action should be avoided. What if the patient can’t do it themselves? If the patient is unable to put in or remove their own dentures, their food can be pureed to make it easier to eat without chewing. The nurse and doctor will make this determination, but they will rely on input regarding the patient’s abilities from the other staff members. It is important that you monitor your patients for difficulties in placing and removing their own dentures. 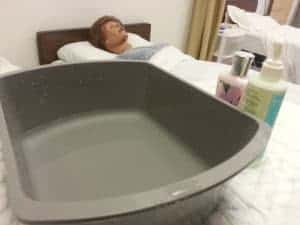 For this reason, the scenario for the exam will have the patient sitting in a chair at the side of the bed with their dentures already removed and stored in a cup that the patient will be holding (or may have set on the overbed table). 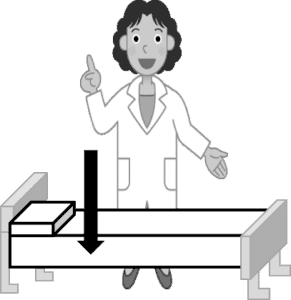 You will be cleaning a single denture “plate” (top or bottom only) during the exam. After cleaning, you will store them in clean water in the denture cup for patient use as they wish. In a clinical setting, not every patient will have their dentures brushed with toothpaste. Denture care experts actually advise against using toothpaste, because it is abrasive and can leave micro-cracks in the denture material. This allows bacteria to thrive in these little cracks and crevices. Most patients will simply want their dentures soaked in cool water with fizzy denture cleaning tablets overnight. Any large particles that remain can be brushed away with a soft brush (no toothpaste) the next morning. Always follow your care plan for each patient! Next PostTesting Tip: Raise the bed?